This is it worn as a Shrug. 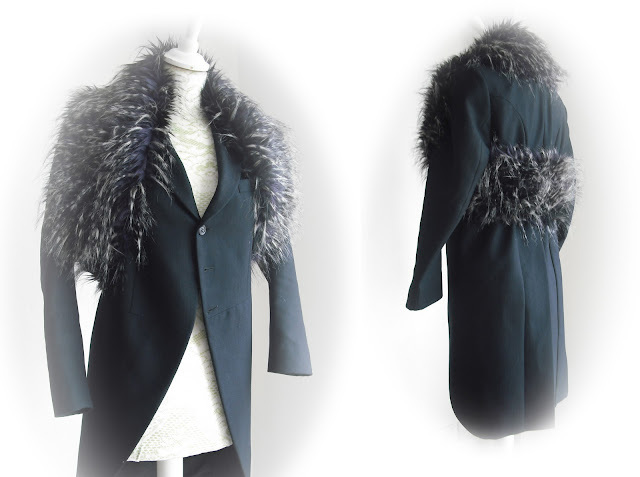 Looks equally as good hung just around the neck as a Cowl or made shorter but deeper as a Snood. For the above Shrug I used fabric 30cms wide. 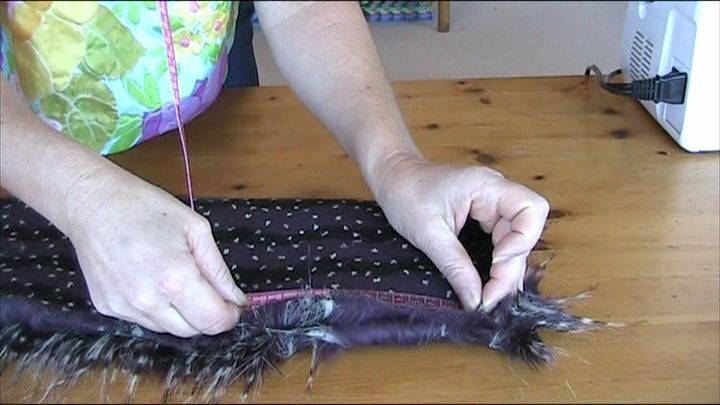 Position the strip of fabric around your neck, under the arms and hold at the back to see how long to make it. 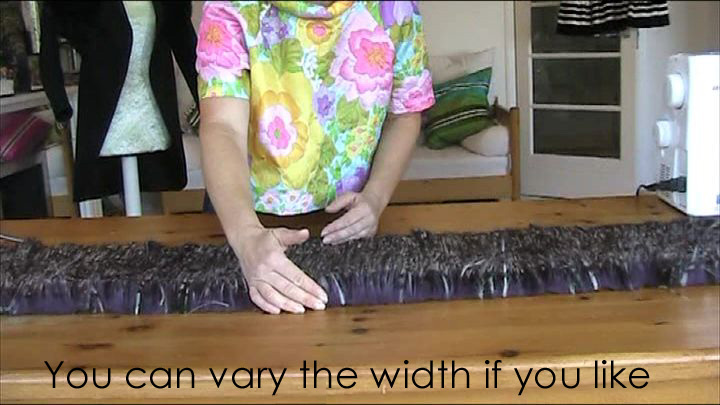 My measurement was 136-138cms long. 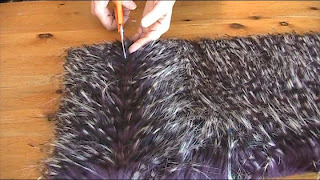 When cutting long fur, make sure you part it 1st. When you stitch together you must leave a gap to then pull through. So stitch a line 15cms, leave a gap of about 15cms the stitch all the way down. Remember that fur has a mind of it's own an can move around alot when you sew, so you may wish to stick with Bond-a-Web, using a hot iron, 1st. 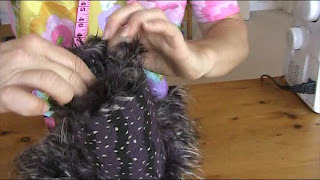 Change to the foot pressure (if you have one) to allow for bulky fabrics. When it's done should look like this. You need to turn inside out. This can be tricky if it's narrow so feed it up from one end 1st, then stick your arm in the tube at the other end until you can reach to pull through. 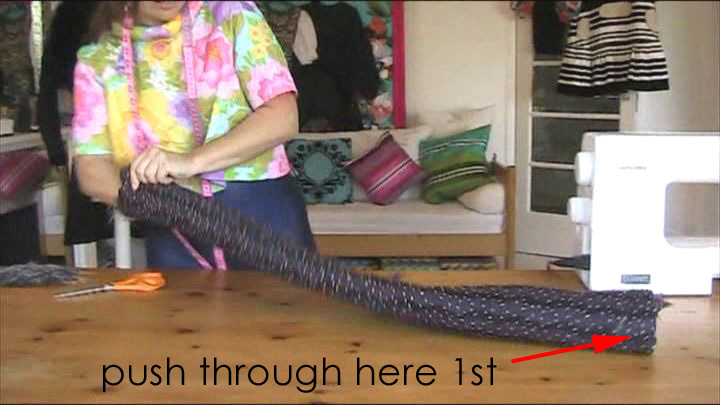 Now, stick your hand through that gap in the seam, and hold onto the end of the tube where the seam finishes. Get the other end and without twisting, match it up with the one in your hand. 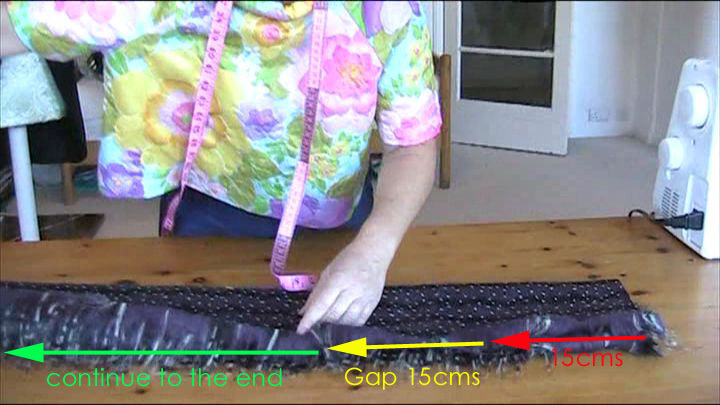 You are now going to pull it backwards through that gap in the seam. DON'T LET GO. Should look like an inside out sleeve. Re arrange things so it's ready to stitch around the edge. Now you still have that gap in the seam to stitch up. 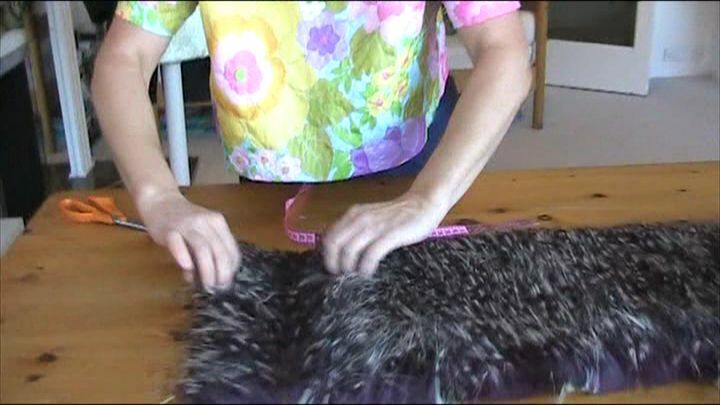 I don't mind if you want to do this by hand, but if you do think you can handle doing a zig zag on the sewing machine do that, cos it won't show. 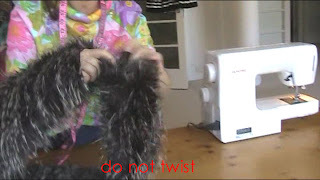 It can be a bit annoying cos the long hair does get caught in the foot sometimes.